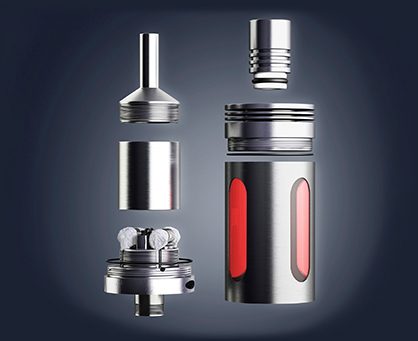 No matter the flavor, VG/PG ratio, or nicotine level, tanks tend to leak from the airflow holes of your tank. This can drip down and cause the mod to get wet, which may damage the internals and can ultimately kill the mod. 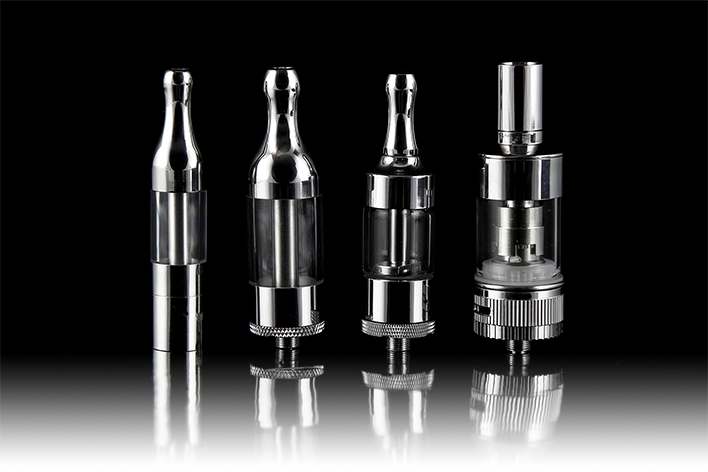 Another cause of leaky tanks can be your atomizer head. If eLiquids do not heat up enough in the atomizer head to be properly vaporized, this can cause spit back and leaks through the airflow hole. Always clean out the chimney and airflow hole before clearing up leaks. For RDA/RDTA users, seeing gunk clogging up your coil is an obvious sign your coils should be cleaned. However, more than likely, the quickest fix in this specific case is either firing only the coil or buying a set of prebuilt coils. Read the following steps and you’ll be on your way to a flawless vaping experience. 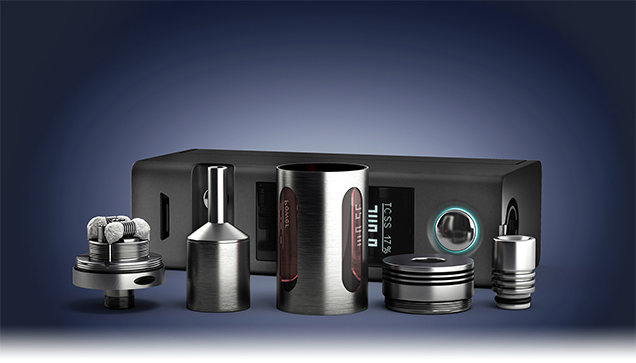 Once cleaning is realized, the first step is to disassemble your setup, removing the atomizer head, drip tip, and glass from the tank and the tank from the battery. Once you remove the tank, be sure to take the tank itself apart as well. If you’re using a beauty ring for aesthetic purposes, you’ll need to remove that too. Once your setup is completely disassembled, you’ll want to gather some paper towel, isopropyl alcohol (preferably 99%),and a few q-tips, to help the cleaning process. From there, take a piece of paper towel and remove any wetness or stickiness from your tank pieces, glass tube, and drip tip. To get them clean as possible, many vapers use boiling water (some add soap) to clean them first, then apply isopropyl alcohol to finish the job. However, if you use alcohol, it’s extremely important users allow time for the isopropyl alcohol to evaporate before moving forward. 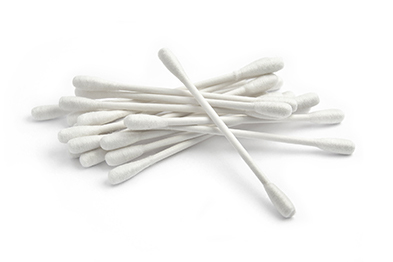 For smaller areas such as the inside of an airflow base, dip a q-tip into the isopropyl alcohol and clean the inside of the airflow base with the q-tip. Cleaning the mod is a lot simpler. 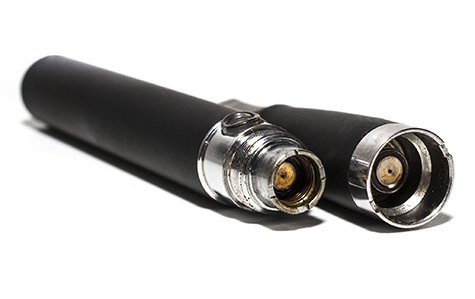 As long as no eLiquid has seeped into the internals, you can simply moisten a paper towel with some isopropyl alcohol and wipe down the exterior of the mod.To clean the 510 connector, dip a q-tip into a little bit of isopropyl alcohol and gently clean the 510 connector pin. As with the tank, allow time for the isopropyl alcohol to evaporate before use. Now that everything is clean, install a new atomizer head in your tank, reassemble the tank and install it back onto your mod. Insert a battery into your mod (if applicable) and fill your tank with your favorite eLiquid flavor from our full selection of eLiquids. For replacement atomizer heads, coils, cotton, drip tips, and more, browse our full selection of vape accessories.